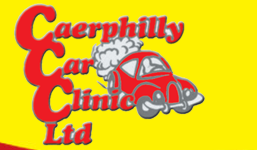 Looking for a garage to fix your Alternator in Caerphilly? Save money: Instantly compare Alternator Repairs prices in Caerphilly to find the best deal. Quick and easy: Simply enter the registration number of your car and your post code, compare prices, choose a local garage in Caerphilly and book your Alternator Repairs. "Good price and well informed throughout"
"Am very happy with the service and communication with Caerphilly MOT Centre. I will definitely use them again for future services and/or repairs." "Fast and efficient MOT work done last Friday. Value for money." "Great team work done as needed." "1st Feb I booked my car in for an MOT, Full Service and to change the rear brake pads. All work was completed in a decent timeframe, and for a reasonable price. The customer service is where the garage has shone for me, as I around 2 weeks after the work was completed I started hearing a noise coming from my wheels. After this did not subside, I took it back where over a collective 2 days / 1 hours each day the cause was investigated. A stone was pulled from between one of the disks the first day as this was causing a grinding, and the second day the brakes were completely taken apart, and reassembled which has since stopped the squeeking. The staff were very helpful, and I would not hesitate to return custom." "Happy with the service. Friendly staff." "I was happy with the way the staff carried out the work at a fast and effective way"